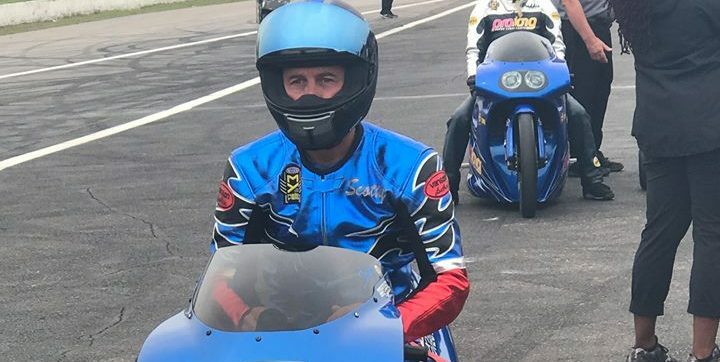 Scotty Pollacheck moved atop the Pro Stock Motorcycle qualifying order with a 6.822 at 196.76 on his Suzuki Extended Protection Suzuki in the final qualifying session on Saturday at the 33rd annual Dodge NHRA Nationals in front of a sellout crowd at Maple Grove Raceway. It is the first No. 1 qualifier of his career. Pollacheck is set to take on Andie Rawlings in the first round. Reigning world champ Jerry Savoie moved up to second after a 6.824 at 196.76 on his White Alligator Racing Suzuki and is slated to race Lance Bonham in the first elimination round. Hector Arana Jr. dropped to third after his preliminary No. 1 pass of 6.834 at 196.76 did not hold up on Saturday. He will take on Charlie Sullivan in the first round on Sunday. Eliminations at the 33rd annual Dodge NHRA Nationals begin at noon on Sunday. Catch the action live at 4:30 p.m. ET on FOX Sports 1. Pro Stock Motorcycle — 1. Scotty Pollacheck, Suzuki, 6.822, 196.76 vs. 16. Andie Rawlings, Suzuki, 7.786, 171.34; 2. Jerry Savoie, Suzuki, 6.824, 196.76 vs. 15. 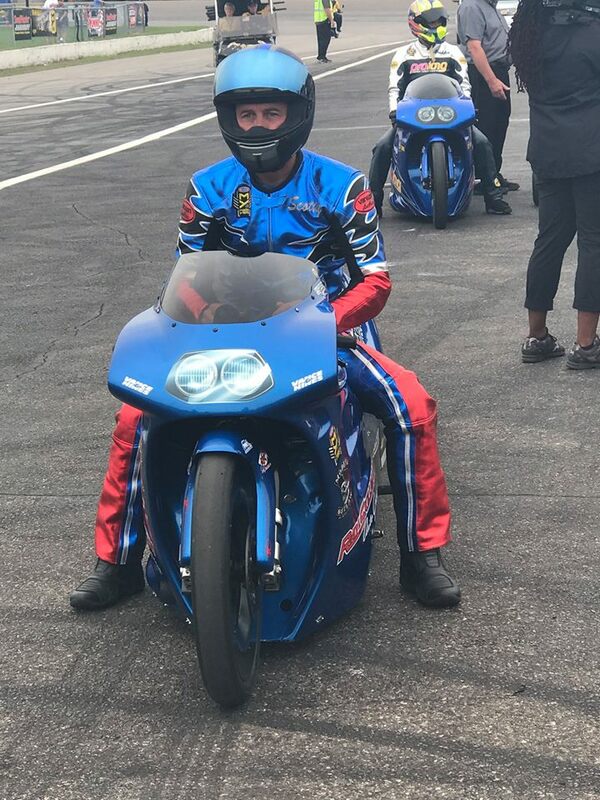 Lance Bonham, Buell, 7.203, 186.87; 3. Hector Arana Jr, Buell, 6.834, 196.76 vs. 14. Charles Sullivan, Buell, 7.008, 189.82; 4. Eddie Krawiec, Harley-Davidson, 6.841, 197.19 vs. 13. Kelly Clontz, Suzuki, 6.956, 193.82; 5. 193.40 vs. 9. Joey Gladstone, Suzuki, 6.878, 194.97.